Arjona led the Pirates to the regional quarterfinal round of the playoffs. EDINBURG — History can be a good predictor of what the present might look like. For Hidalgo girls basketball, coaches like Rachel Carmona and Monica Rodriguez made the program into a perennial district championship favorite and a threat to go as far into the playoffs as the UIL State Final Four. Saul Arjona knew the stresses of living up to Hidalgo’s storied past when the school district moved him from assisting the boys program to leading the girls, but that didn’t make it easier. This season, however, Arjona has the program on solid ground again. 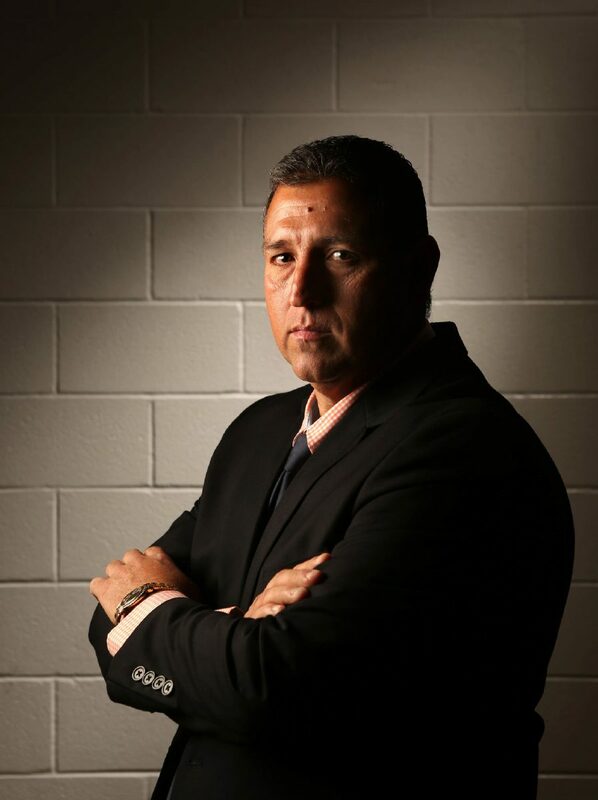 After taking the Pirates the furthest into the playoffs of any team in the Valley, Arjona was named The Monitor’s All-Area Coach of the Year. Arjona led the Pirates to a 31-9 record overall and a perfect 14-0 mark in District 32-4A. This season marked Hidalgo’s second district championship in a row. Hidalgo advanced to the area round in 2016-17 but dropped a double-overtime thriller to Crystal City. In the 2017-18 area round, the Pirates put Pearsall away soundly to move into the regional quarterfinals against Corpus Christi West Oso. Hidalgo and West Oso had already met in November at the La Joya Pack Brawl on the Border Tournament. As was the case in their early season matchup, the Pirates and Bears played a close game, with Bears eventually emerging victorious. Arjona’s team was stockpiled with talent, including All-Area second-team forward Barbie Gutierrez and All-Area first-team guard Ashley Arjona. Ashley and her twin sister Alexis played their final game for their father against West Oso, bringing the curtain down on an unforgettable stretch for the Arjonas.